Volunteers from Avon Fire & Rescue Service’s Thornbury Fire Station have signed up to be ambulance agents. The scheme follows a successful pilot project at Portishead Fire Station which started in September 2011. 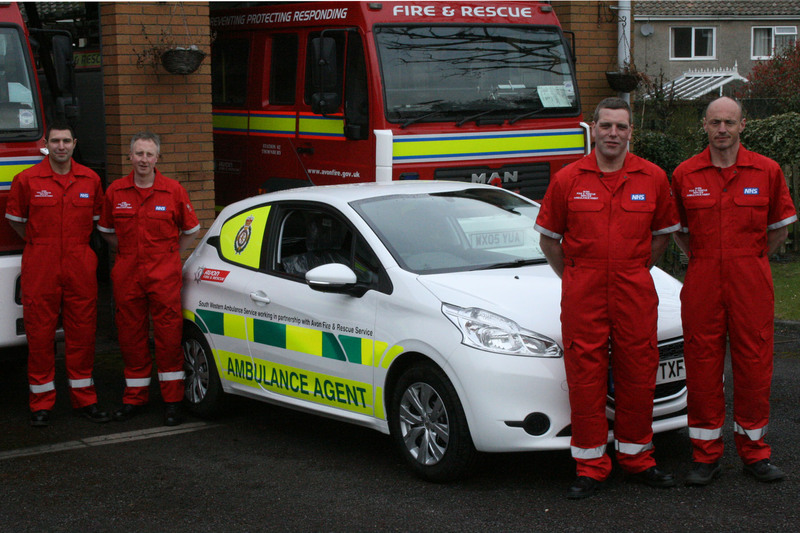 Around half a dozen retained duty system (RDS) firefighters from Thornbury have been trained and have taken delivery of a vehicle supplied by the ambulance service. It means that when they are not on call for AF&RS, or when there is spare capacity, they can now attend specific incidents on behalf of the ambulance service and provide first aid in medical emergencies. Crew Manager John Riddiford was involved in the first call out for the Thornbury Ambulance Agent car and assisted the crew in tending to an elderly woman whose carer could not wake her. “This service really offers great benefits for the community," Riddiford said. "Retained firefighters have all the first aid training, and now we have more opportunity to put that training into practice, which can only be good." Since its launch in 2011, the Portishead project has attended life-threatening incidents such as patients suffering chest pains, asthma attacks and breathing difficulties. The scheme could be expanded to other stations in the area after further resilience capacity analysis has been completed.